This just happened and I can’t resist sharing it. 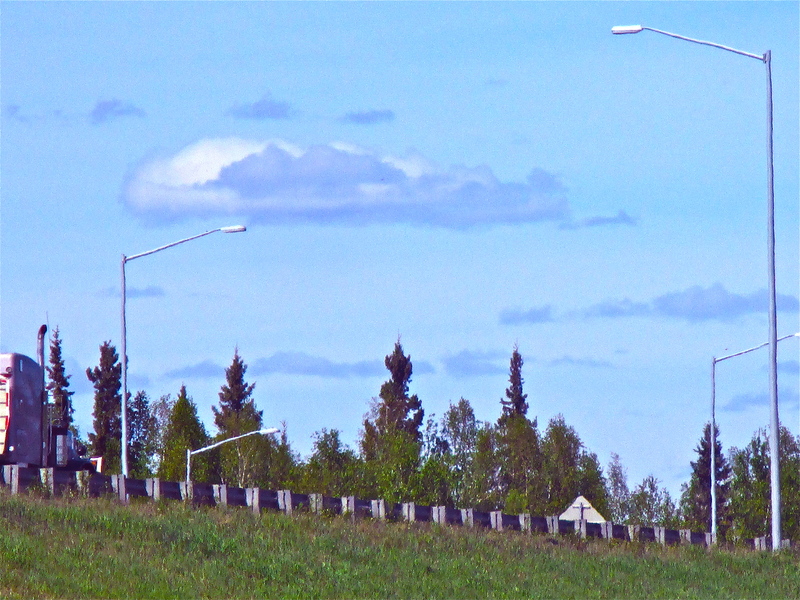 Driving home from the market, my two-year-old grandtoddler, r, is behind me in his car-seat when I spot some cloud lips up ahead. “Where, Gooma? Where?” he asks. “Oh! Cloud lips! There’s a mouth in the sky!” He cracks up, kicks his feet, throws his head back. Then he’s dead serious, looking at the miracle. “Silly cloud mouth,” he giggles. “How can a cloud have a mouth?” We laugh hysterically (his is real and I am faking it, trying to keep up with his bottomless glee). “Why did the wind blow the mouth into a flat cloud, Gooma?” r is not distressed, only curious. “I want to find an airplane cloud!” r shrieks. “I want to find a moose cloud!” I shriek. My pleasure, Jolene. Thanks for dropping by. Oh Gooma, so delightful, what a lighthearted sweet share. Thanks, Katie. We must always remember to look up at the sky, right? Yes. I just read this to Mitchell too. sweetness. Terrific! Love capturing the things they say! Thanks, Lisa. Aren’t we lucky to be Goomas! You are one cool Gooma! What an exuberant and fun moment. Hi, Victoria. There are so many precious moments with r, but this one was so darling. I’m going to miss being with my little guy. Oh, Marilyn, this is so precious! The magical realism of the two year old mind is delightful. Also, isn’t it amazing how close to their emotions these little guys live? Ecstasy one moment, immediately followed by a nervous breakdown, relieved by a giggle fit. Wowzas! very cool–what a lucky kid–to have g.g. marquez playing angel’s advocate with him, tinkering with magic of reality. Very inspiring. Thanks, jd. I’m so fortunate to be able to spend time with this little creature called r.
Of course, with a happy pumpkin face on it and under it! You bet, Geo. Little r is a toddlypoo of joy!